Located in the San Miguel Vineyard, an incredible destination in San Miguel de Allende, Club Residential Viñedo San Miguel offers a unique concept that has more than 60 acres of vineyards, a spa as well as a luxury hotel operated by The Leading Hotels of the World. This wonderful vacation experience is only 9 minutes from the city of San Miguel de Allende, Heritage of the World, which was selected as the number one city in the world by Conde Nast in 2013. Enjoy a luxurious residence while you are served with all the comforts and amenities of an exclusive world-class hotel. Club Residential Viñedo San Miguel has its very own architectural design, with excellent distribution of space where up to 8 guests can be comfortably accommodated. 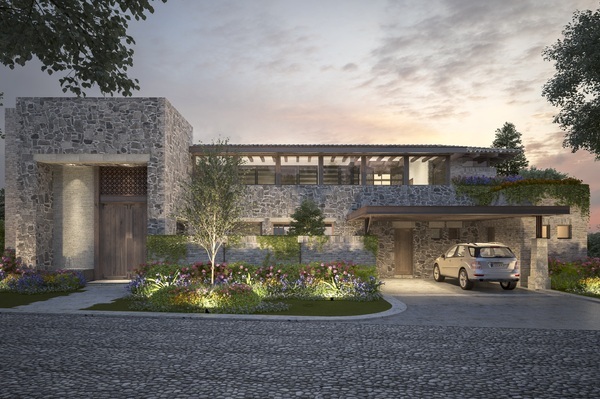 The elegant main entrance displays the grand view of the vineyard while enjoying the well-furnished and equipped residence with the best brands and exclusive furniture that was specifically designed and manufactured for Residencial Club San Miguel.